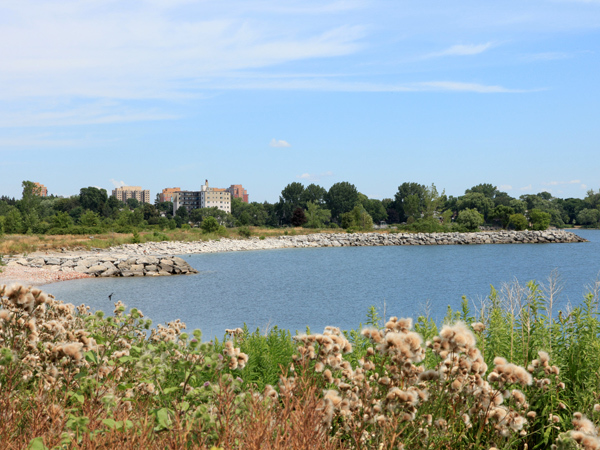 A remnant of the Crown Lands granted in 1793 to Colonel Samuel Smith of the Queen’s Rangers, this 78-hectare park on the shore of Lake Ontario includes part of the grounds of the former Lakeshore Psychiatric Hospital (originally the Mimico Branch Asylum), which operated from 1889 to 1979. 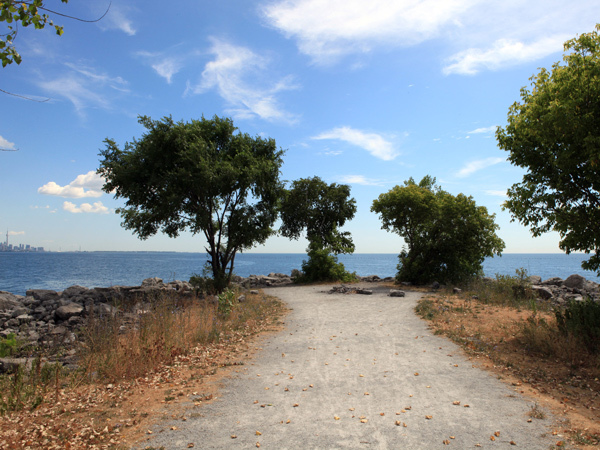 Envisioned as a self-sufficient community living in a therapeutic landscape, the patients built the Victorian-style dormitories they inhabited, as well as roads, walls, bridges, and a pavilion designed by landscape gardener Samuel Matheson. 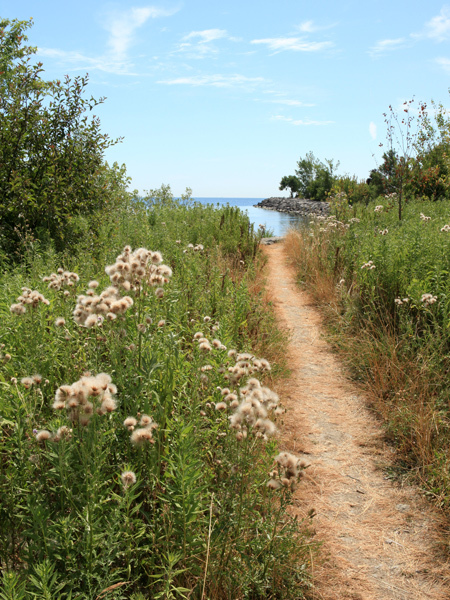 Additionally, the patients excavated the bed of the creek that flowed on-site and maintained a vegetable garden, an orchard (partly surviving west of Kipling Avenue), and two farms (located north and west of the asylum). 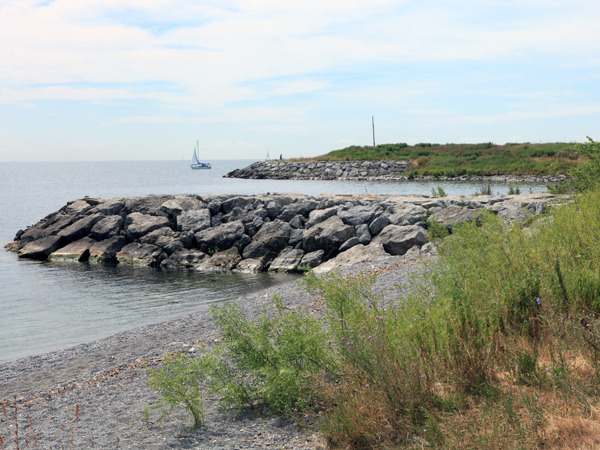 In the 1980s the Metropolitan Toronto and Region Conservation Authority expanded the site into Lake Ontario, creating an artificial harbor (now home to the Lakeshore Yacht Club) skirted by grasslands punctuated by trees, set within the rocky shoreline. 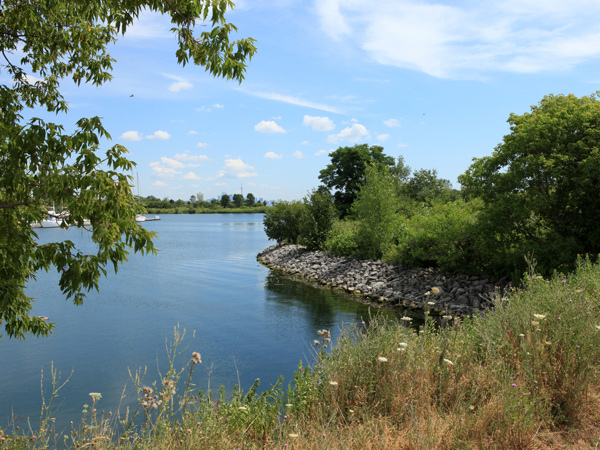 The lake-fill area also contains a wetlands habitat with wildlife-viewing platforms, while elsewhere among the tree-lined paths and lawns are playgrounds, pavilions, and a sport field. 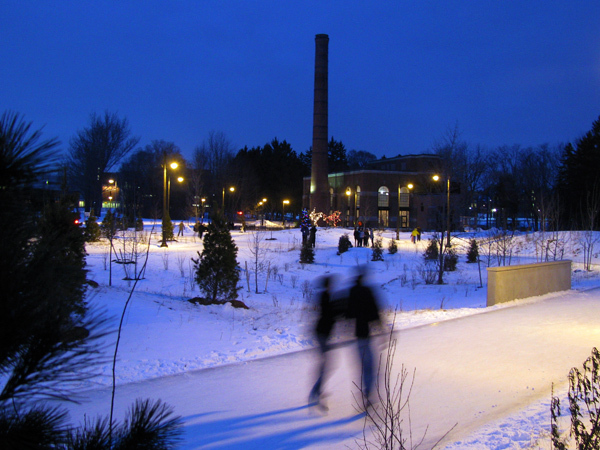 In the 1990s Humber College (now the Humber Institute) leased and occupied the former hospital’s buildings, many of which have since been restored, and continues to use the tunnels that served its various wards. 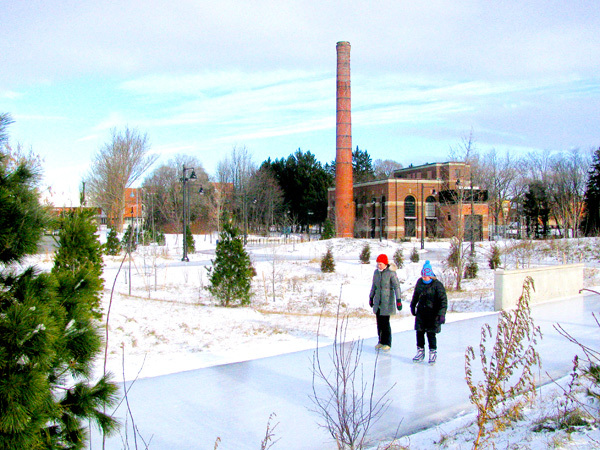 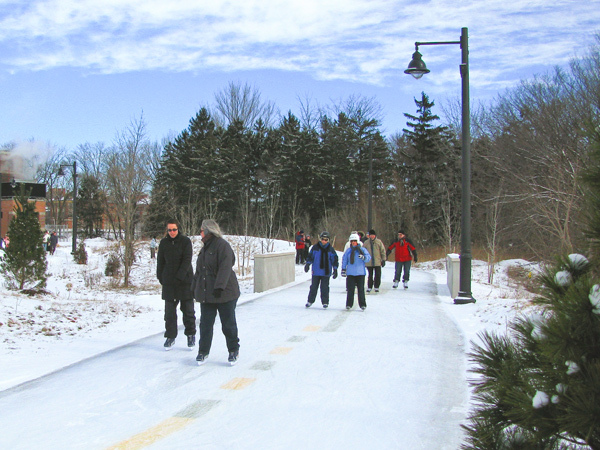 In 2010 an outdoor ice-skating trail, designed by PMA, Landscape Architects, opened beside the historic power plant, re-purposed as a community center. 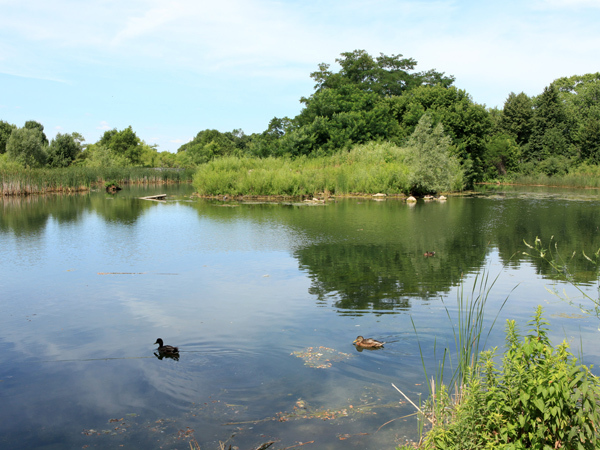 The park is a designated Toronto Bird Sanctuary, and in 1988 the grounds of the former hospital were designated a heritage property by the Province of Ontario.